While most people may retain a smattering of information and basic concepts about the field of genetics, some may also wish to refresh their knowledge base, and the Understanding Genetics website is a fine way to get back up to speed. Created and maintained by the good people at the Tech Museum of Innovation in San Jose, the homepage is well thought out, and provides a nice entry point to many of the features available here. 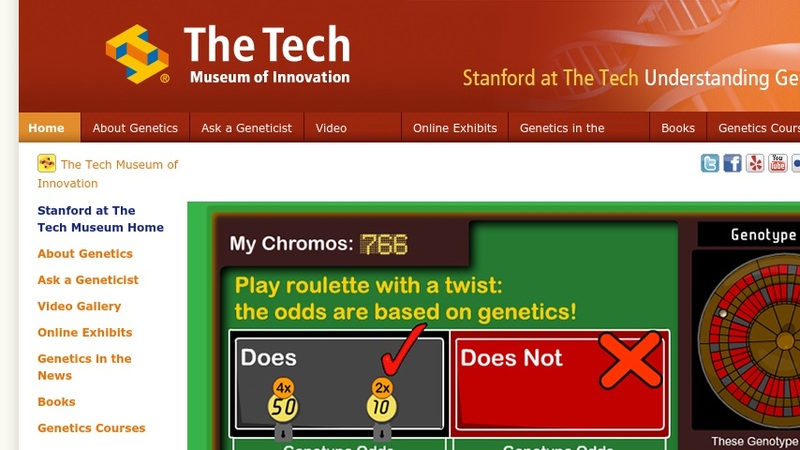 Visitors can peruse the questions posed to geneticists in the "Ask a Geneticist" feature, browse a selection of recent news stories regarding genetics, and take a survey on the ethical questions posed by the issues of stem cell research and genetically modified foods. The feature story is a fine resource as well, as it provides basic, non-jargon-laden answers to such question as "What is a gene?" and "How do genes work?". The site also contains a number of activities that can be done at home, including a fun exercise that teaches users how to extract DNA from strawberries.